Currently viewing the tag: "Trigonometric identities"
Draw a triangle with angles x, (45 + x) and (45 – x) degrees. 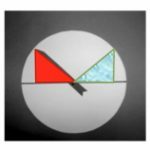 What does Pythagoras Theorem tell you about these angles? See the AIMSSEC Notes for Teachers. 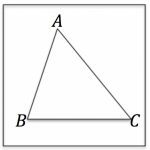 Angles A, B and C are the angles of a triangle. Decide whether each of the following is an identity, always true for all triangles, or an equation, sometimes true. If you decide it is an equation find the solution or solutions and describe the corresponding triangle. 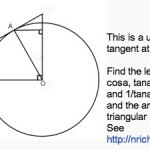 This is a unit circle with a tangent at A. The angle marked in the diagram is angle a. 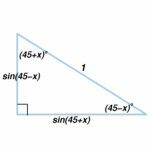 Copy the diagram and find all the angles in terms of the angle a. Find the six line segments in the diagram corresponding to sina, cosa, tana, 1/sina, 1/cosa and 1/tana.